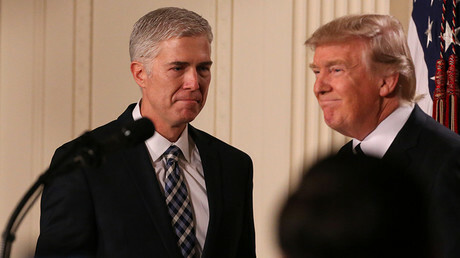 More Americans have a positive first impression of Supreme Court nominee Neil Gorsuch than negative, and believe the Senate should confirm President Trump's pick, according to a CNN/Opinion Research Corporation (ORC) poll. Thirty-nine percent of respondents said they have a positive first impression of Gorsuch, who was announced as Trump's choice for Supreme Court justice last Tuesday. That's compared to 24 percent who expressed a negative view of the nominee. In addition, more people would like to see the Senate confirm Gorsuch to the post than not. 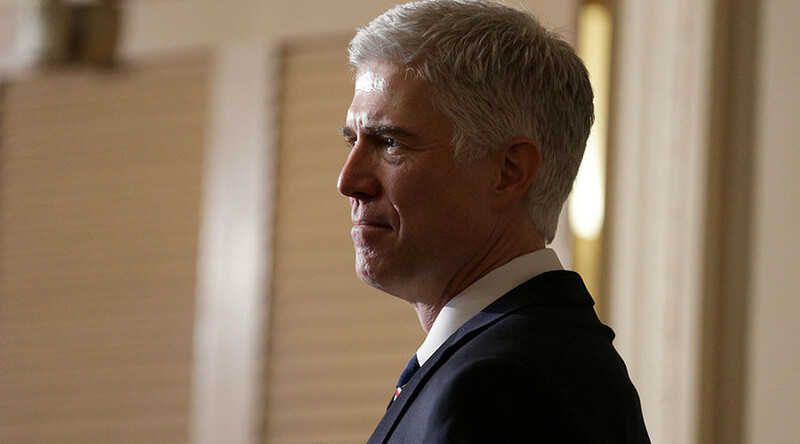 Forty-nine percent said they were in favor of confirmation, while 36 percent said they would like the Senate to vote against Gorsuch's appointment. 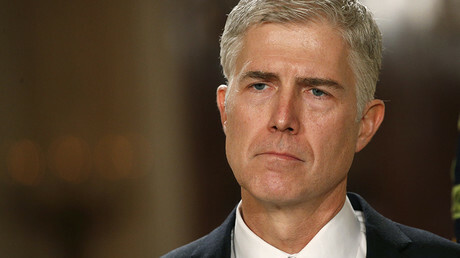 Gorsuch, 49, is the youngest Supreme Court nominee in 25 years. The Colorado native is known for his conservative views. Those ideals could tip the court, which has been working for the past year with an even number of justices, four of which are liberal-leaning. His nomination has prompted Democrats to express concern over the future of abortion rights, voting rights, LGBT rights and anti-discrimination protections. Meanwhile, the same poll also found that Republican leaders in Congress are experiencing a rise in ratings, with 39 percent approving of the way they're doing their jobs. That number represents the highest approval rating for the GOP leadership since the CNN/ORC poll began asking the question in 2008. Things are looking less rosy for Democratic leaders, with just 33 percent approving of how they are doing their job. This marks the first time since CNN/ORC began asking the question in 2008 that the Democratic leadership has a lower approval rating than Republican leadership. The poll also asked respondents of their views on how the media is treating Trump, with 42 percent stating that it is being too critical of the president. Thirty-six percent said the media is providing fair treatment to Trump, while 22 percent said it wasn't being critical enough. Republicans were most skeptical of media coverage, with 85 percent saying the media are being too tough on Trump. The CNN/ORC numbers vary slightly from a Gallup poll released Friday, in which a smaller proportion of people – 36 percent – said the media was being "too tough" on Trump. Thirty-one percent said the coverage was "about right," while 28 percent complained that the reporting was "not tough enough." The survey by CNN/ORC was conducted by telephone between January 31 and February 2. It polled a random national sample of 1,002 adults, and has a margin of error of plus or minus 3 percentage points. The poll coincides with Trump taking to Twitter to denounce polls – or at least those which paint his administration in a negative light. "Any negative polls are fake news, just like the CNN, ABC, NBC polls in the election..." Trump tweeted on Monday, adding that people support his stance on border security and extreme vetting – despite worldwide protests against a travel ban for people from seven mainly Muslim countries.